The German publication Der Spiegel has revealed new details about a secretive hacking unit inside the National Security Agency called the Office of Tailored Access Operations, or TAO. The unit was created in 1997 to hack into global communications traffic. Hackers inside the TAO have developed a way to break into computers running Microsoft Windows by gaining passive access to machines when users report program crashes to Microsoft. 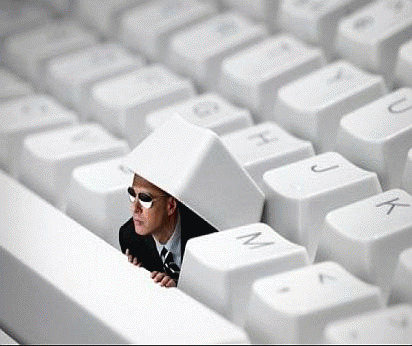 In addition, with help from the CIA and FBI, the NSA has the ability to intercept computers and other electronic accessories purchased online in order to secretly insert spyware and components that can provide backdoor access for the intelligence agencies. American Civil Liberties Union Deputy Legal Director Jameel Jaffer and journalist Glenn Greenwald join us to discuss the latest revelations, along with the future of Edward Snowden. AMY GOODMAN: This is Democracy Now!, democracynow.org, The War and Peace Report. I'm Amy Goodman, as we continue our conversation about the National Security Agency. On Sunday, the German publication Der Spiegel revealed new details about secretive hacking -- a secretive hacking unit inside the NSA called the Office of Tailored Access Operations, or TAO. The unit was created in 1997 to hack into global communications traffic. Still with us, Jameel Jaffer, deputy legal director of the ACLU, director of the ACLU's Center for Democracy, and Glenn Greenwald, the journalist who first broke the story about Edward Snowden. Glenn, can you just talk about the revelations in Der Spiegel? GLENN GREENWALD: Sure. I think everybody knows by now, or at least I hope they do after the last seven months reporting, that the goal of the NSA really is the elimination of privacy worldwide -- not hyperbole, not metaphor, that's literally their goal, is to make sure that all human communications that take place electronically are collected and then stored by the NSA and susceptible to being monitored and analyzed. But the specifics are still really important to illustrate just the scope and invasiveness and the dangers presented by this secret surveillance system. And what the Der Spiegel article details is that one of the things that the NSA is really adept at doing is implanting in various machines -- computers, laptops, even cellphones and the like -- malware. And malware is essentially a program that allows the NSA, in the terminology that hackers use, to own the machine. So, no matter how much encryption you use, no matter how much you safeguard your communication with passwords and other things, this malware allows the NSA to literally watch every keystroke that you make, to get screen captures of what it is that you're doing, to circumvent all forms of encryption and other barriers to your communications. And one of the ways that they're doing it is that they intercept products in transit, such as if you order a laptop or other forms of Internet routers or servers and the like, they intercept it in transit, open the box, implant the malware, factory -- seal it and then send it back to the user. They also exploit weaknesses in Google and YouTube and Yahoo and other services, as well, in order to implant these devices. It's unclear to what extent, if at all, the companies even know about it, let alone cooperate in it. But what is clear is that they've been able to compromise the physical machines themselves, so that it makes no difference what precautions you take in terms of safeguarding the sanctity of your online activity. AMY GOODMAN:So, I mean, just to be really specific, you order a computer, and it's coming UPS, or it's coming FedEx, and they have it redirected to their own -- you know, to the NSA, and they put in the malware, the spyware, and then send it on to you? GLENN GREENWALD: Correct. That's what the Der Spiegel report indicates, based on the documents that they've published. But we've actually been working, ourselves, on certain stories that should be published soon regarding similar interdiction efforts. And one of the things that I think is so amazing about this, Amy, is that the U.S. government has spent the last three or four years shrilly, vehemently warning the world that Chinese technology companies are unsafe to purchase products from, because they claim the Chinese government interdicts these products and installs surveillance, backdoors and other forms of malware onto the machinery so that when you get them, immediately your privacy is compromised. And they've actually driven Chinese firms out of the U.S. market and elsewhere with these kinds of accusations. Congress has convened committees to issue reports making these kind of accusations about Chinese companies. And yet, at the same time, the NSA is doing exactly that which they accuse these Chinese companies of doing. And there's a real question, which is: Are these warnings designed to steer people away from purchasing Chinese products into the arms of the American industry so that the NSA's ability to implant these devices becomes even greater, since now everybody is buying American products out of fear that they can no longer buy Chinese products because this will happen to them? AMY GOODMAN:The story is reported by Jacob Appelbaum, Laura Poitras and a group of Der Spiegel reporters. Is this based, Glenn, on Edward Snowden's revelations, the documents that he got out and shared with you and Laura Poitras? GLENN GREENWALD: Der Spiegel doesn't actually indicate the origin of the documents, so I'm going to go ahead and let them speak to that themselves. What I can tell you is that there are documents in the archive that was provided to us by Edward Snowden that detail similar programs. Whether these specific documents that Der Spiegel published come from them or from a different source is something I'm going to go ahead and let them address. "In January 2010, numerous homeowners in San Antonio, Texas, stood baffled in front of their closed garage doors. They wanted to drive to work or head off to do their grocery shopping, but their garage door openers had gone dead, leaving them stranded. No matter how many times they pressed the buttons, the doors didn't budge. The problem primarily affected residents in the western part of the city, around Military Drive and the interstate highway known as Loop 410. "In the United States, a country of cars and commuters, the mysterious garage door problem quickly became an issue for local politicians. Ultimately, the municipal government solved the riddle. Fault for the error lay with the United States' foreign intelligence service, the National Security Agency, which has offices in San Antonio. Officials at the agency were forced to admit that one of the NSA's radio antennas was broadcasting at the same frequency as the garage door openers. Embarrassed officials at the intelligence agency promised to resolve the issue as quickly as possible, and soon the doors began opening again.